In Part 1 of this article, we covered the first steps to get involved in your condo association to fight apathy. Today we’ll cover the final steps on how you can become a more involved and engaged Owner. Fiscal health is a very deep and complicated subject, particularly for a Condo Association, and especially so if you’re starting from scratch. Today’s exercise is focused on identifying the biggest and most important aspects of fiscal health so you can get a rough idea of where your Association – and, by extension, you – stand. Remember the difference between operations and reserves from Finances 101 – this comes in handy when reviewing finances. The first document for you to review is the Reserve Study – assuming there is a Reserve Study. Reserve Studies should be done every 5-10 years. If the Association has not done one at all, ever – that’s bad. If it’s pushing 10 years since it last did one, that’s likely bad as well. Your Association should make this document available – ask Management or the Board for a copy. 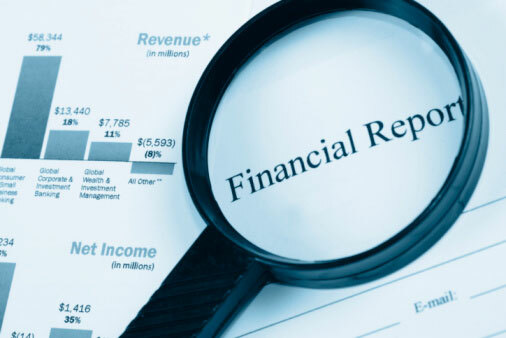 If you want to get involved in your condo association, make sure you’re reading the financials. The Reserve Study is pretty easy to review. Basically, you want to see how much the Board is currently putting into reserves, and how much the study recommends they put in. You’ll check this against the finances in a moment. Depending on the depth of the reserve study, it may also outline what systems need replacement soon. If you want extra credit, go back to the minutes and see if any of those systems were discussed. Again, stuff breaks and you pay for it – that’s normal. What’s not normal is if you have way more stuff breaking than you have money, or your Association isn’t putting enough money into Reserves. Is the Condo Association contributing enough money to Reserves, per the Reserve Study? Does the amount of Reserves match up against what the Reserve Study says you should have? Does the Association roughly break even on an annual basis for operating expenses? Do any categories seem really big or odd? Like $50,000 for office supplies, perhaps? If you notice deviations in either of these cases – take note. We’ll be following up on them in the next section. By this point, you’ve now reviewed your Bylaws to learn more about your Association’s governing documents. You’ve read over meeting minutes to see what’s been going on that you’ve missed. And you’ve taken a look at the finances to make sure your Association has a healthy fiscal status. It is inevitable that you might have questions at this point. This is a good thing! Many of your questions may be easily explained – there are so many nuances in an Association that reviewing documents isn’t enough. For example, you might have very high maintenance costs, but that may be because you do your maintenance in-house rather than contracting it out. You might have noticed that the Board isn’t putting enough money into Reserves and want to know why. You may have read about an upcoming major project – maybe a roof repair and you live on the top floor, and you want to know how it will affect you. Or maybe the Board is not making key documents available as the Bylaws states. That’s a question you’ll definitely want an answer for. Make it very clear you’re asking these questions simply to get educated. Your Board might get spooked by the questions otherwise. I wouldn’t send them more than 3-5 questions. Even if you have 10 really good questions, pick your very best five. Be patient in waiting for a response. The Board is going to have to draft up answers and then all agree to them as a majority. This takes time. Don’t be surprised if it takes two weeks to hear back, but if it takes longer, email again. Be polite. I have more tips here on how to email a board effectively. I will note – I have NEVER received an inquiry from an Owner like I’m suggesting here – under normal circumstances. However, when my Association had to do a Special Assessment, we prepared a lot of information, much of which was already available via the minutes and finances, and sent it out to educate Owners on our Special Assessment vote. After we sent that out, we did receive several lengthy inquiries for more information along the lines of what I’m recommending you ask your Board. That said, if you have a relatively apathetic community, such an email may be a surprise to them. But that’s OK – we’re fighting apathy here! That’s the goal! Your Board should be ready to answer a curious Owner who asks reasonable questions. 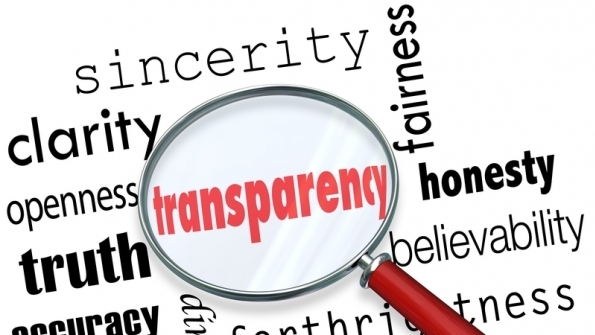 Transparency is the key to a successful Condo Association. Now if your Board refuses to give you answers – that’s a red flag. Questions about operations should be answered by the Board truthfully and transparently, unless there’s a sensitive issue (i.e., personnel or legal). But asking why money is being spent, or why the Board isn’t following a Reserve Study (or even performing one), or why they aren’t sharing documents are fair questions for an Owner to ask, and frankly, easy questions for a Board to answer. If you get answers that are subpar – that’s a yellow flag. Sometimes Boards or Management are lazy – they’re used to not being questioned – and they may view you as an upstart and just want you to go away, so they give a lame answer. If so, ask the question again and be more specific and see what they do – maybe they’ll be more helpful on the second round. But you’ll have a very telling answer if they are impolite or unhelpful. Something may be up, and that’s no good. You might try showing up at a meeting if that’s the case to let them know you’re not going away. Hopefully, though, you’ll get the answers you asked for and you’ll have a better feeling for your Association’s operations. Now that you’re up to speed, it’d be a shame to let that go. You do, after all, want to get involved in your condo association, right? Read my tips on being a responsible owner and start doing things right. Maybe even join a committee. And if you didn’t get the answers you want from your Board, you’ll need to start leading a grassroots movement to take back your Association before very bad things happen – a topic I’ll be covering in a future Fighting Apathy article.